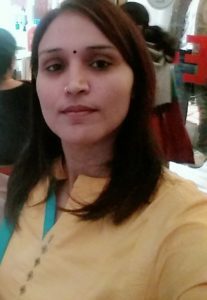 An academician, researcher and a lover and admirer of Mother-Nature, Ms Vandana Beniwal (M.A.,UGC-NET) is presently working as an Assistant Prpfessor (Head)in the Department of English, Mahila Mahavidyalaya, Jhojhu Kalan(a beautiful place nestled in District Ch Dadri,Haryana). She has a teaching experience for more than four years.During her school and college life, she has actively participated in various cultural activities. Her area of specialization includes Ecocriticism, Feminism and Indian Writings in English. She has six research papers to her credit that have found place in different reputed International Journals. She has attended dozens of National and International Seminars as a delegate and presented research papers penned on her respective areas of interest. She has been appointed as one of the Executive Council Members (ECM) of FSLE-India for its Haryana Region.